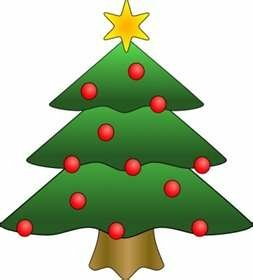 It's the start of the Christmas Season and I already know what's on your list this year, and it's not something you can buy at the mall or on line. You're wishing for 6-Pack Abs aren't you. Well I hate to see anyone dissappointed, especially at Christmas time so I've put together "The Twelve Days of Christmas The 6-Pack Abs Edition" just for you. The first medicine balls were created in Persia over 3,000 years ago, the original Medicine Balls were sand filled bladders and were used by wrestlers as part of their conditioning. Today you can get the same rippling abs by incorporating medicine balls into your exercise routine. Do a sit-up holding a medicine ball at your chest then throw it to a partner as you raise your chest toward your knees; or hold a medicine ball with arms straight up in the air as you do crunches. Too much salt leads to water retention, and water retention spells disaster for your six pack. Pay attention to the sodium content of your food. Limit salt intake by not eating packaged foods and by putting down the salt shaker. How do I do V-Sit up? Not to worry, to incorporate Oblique V-Sits into your routine in 3 simple steps: 1) Lie on your side with legs straight and hands behind your head. 2) Raise your arms and legs simultaneously, while exhaling and squeezing your obliques. 3) Repeat on the other side. It's a great exercise. Along with fiber, your meals should be packed with lean protein. This will help support muscle growth while controlling blood sugar,all important factors when it come to washboard abs. I know, sugar tastes good, but indulging in it causes your body to store layers of fat. Enjoy fresh fruit, rather than refined sugar. If you really want washboard abs, then say no to sugar. Sorry I didn't make the rules. If you're serious about that six pack then put down the bread basket. Grains are full of insulin, spiking carbohydrates, the perfect combination for fattening you up. Learn to love grain-free meals that center around lean meats and vegetables. I love great bread too; but it doesn't help our abs. Here's another intense exercise that really targets your abs while also burning fat. 1) Get into push-up position. 2) Exhale as you alternately drive your knees in toward your chest, keeping your back flat. Great exercise. If all else fails contact me about my programs that will get you those washboard abs that are on your Christmas List. You can do it, and I can help. Here are 3 Bonus Tips for a Fit Holiday give them a try and you enjoy the holidays as well as your fitness. Never go to a party with an empty stomach. Fill up on a healthy meal before you ever leave home. Don't skip your workouts, regardless of how busy you are. Make it a priority. Finally when you indulge, be controlled. Never participate in mindless munching or "grazing" it will result in disaster. 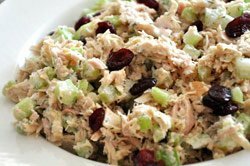 Tuna is a great source of protein and here's an easy recipe for tuna salad that's both healthy and tasty. Give it a try and let me know what you think. Add all of the ingredients and mix until well combined. Make up as a sandwich, wrap, or as I like it in fresh crispy lettuce leaves.